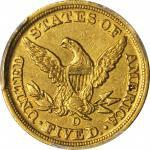 Lot:3047 1847-D Liberty Head Half Eagle. EF-45 (PCGS). 1847-D Liberty Head Half Eagle. EF-45 (PCGS).Pleasing original olive-gold surfaces exhibit very sharp detail for a lightly circulated Dahlonega Mint gold coin. A tiny scuff at the base of Libertys cheek is noted for accuracy, but otherwise both sides are pleasingly smooth. 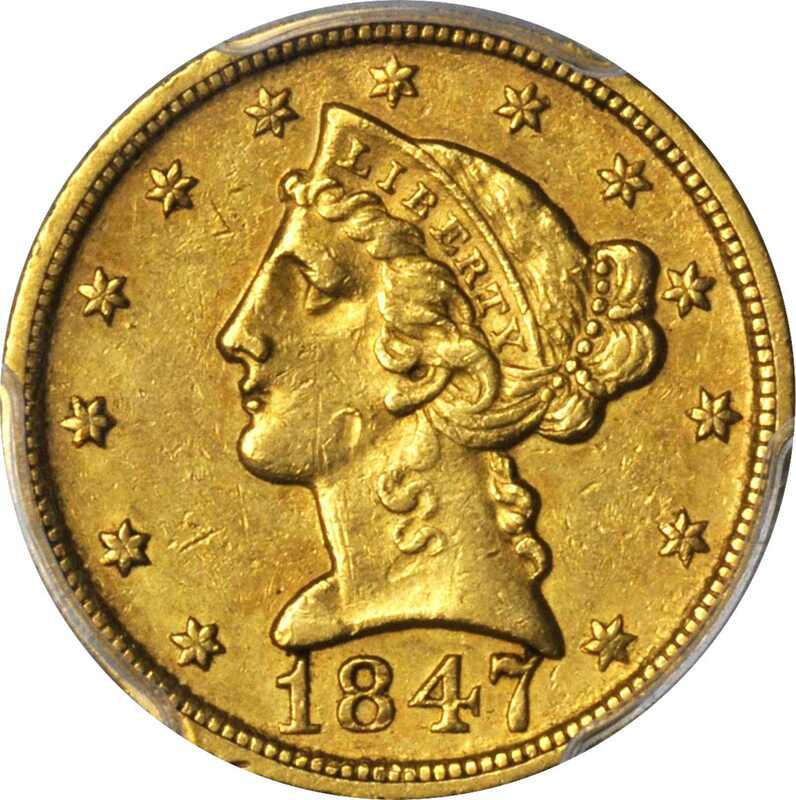 The 1847-D is among the more available Dahlonega Mint half eagles, yet it is still appreciably scarcer than such issues as the 1838-D Classic, 1843-D and 1852-D. The present example would be just right for a mintmarked gold type set.